Join the host of AXS TV’S The World’s Greatest Tribute Bands, Katie Daryl. 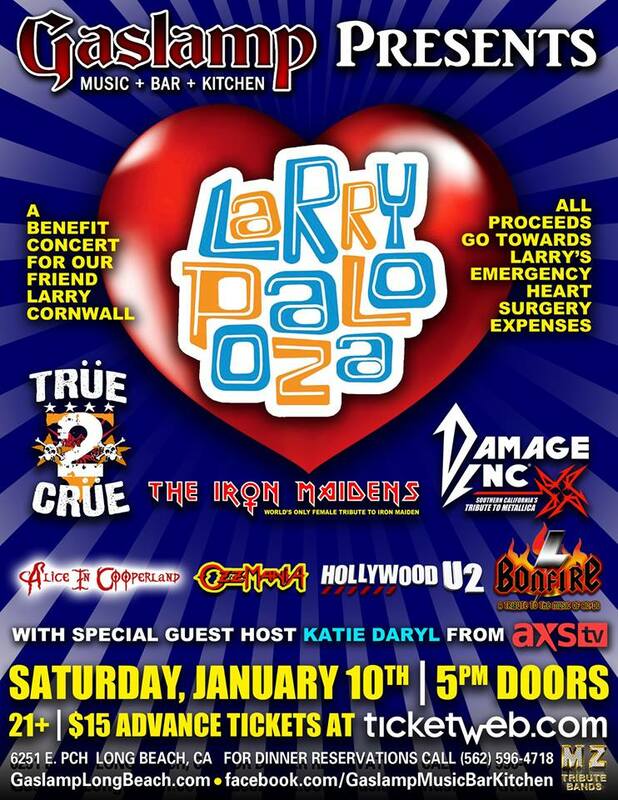 as alumni from all four seasons of AXS TV’s THE WORLD’S GREATEST TRIBUTE BANDS get together at the GAS LAMP LONG BEACH – the show’s proceeds are to assist Larry Cornwall with his mounting medical bills so he can keep on rocking!! Larry was rushed to the hospital on August 14th for emergency heart surgery. Fortunately, his surgery was successful, and while he’s insured, the co-pay and his ongoing medical expenses are quite expensive, so a benefit show is being held at the Gaslamp in Long Beach with some of the best tribute bands in the business! $15 Presale tickets available here. 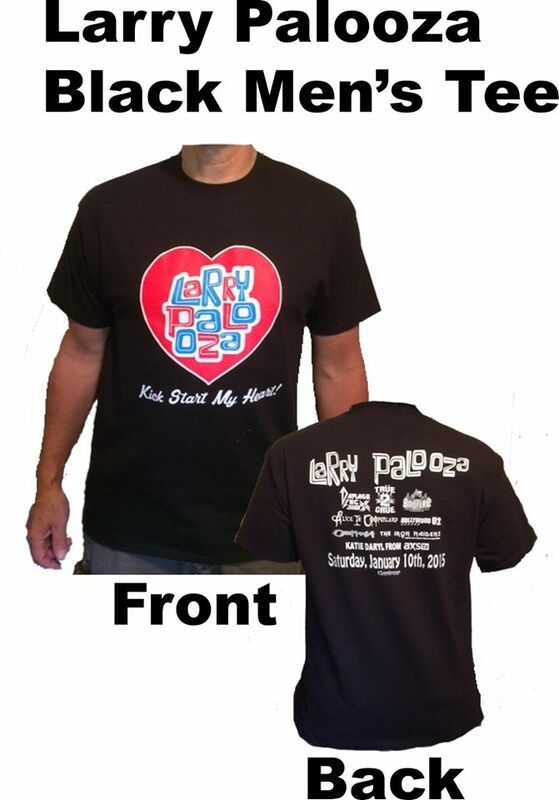 If you are not able to attend the show, but still wish to help, you can contribute to the cause via a fund for Larry and can also purchase Larry Palooza T-shirts at Pike Apparel to wear them now or to the show! TOP TRIBUTES TO MOTLEY CRUE, IRON MAIDEN, METALLICA, ALICE COOPER, OZZY OSBOURNE/ BLACK SABBATH, AC/DC and U2 (this benefit show is not an AXS TV-endorsed event).